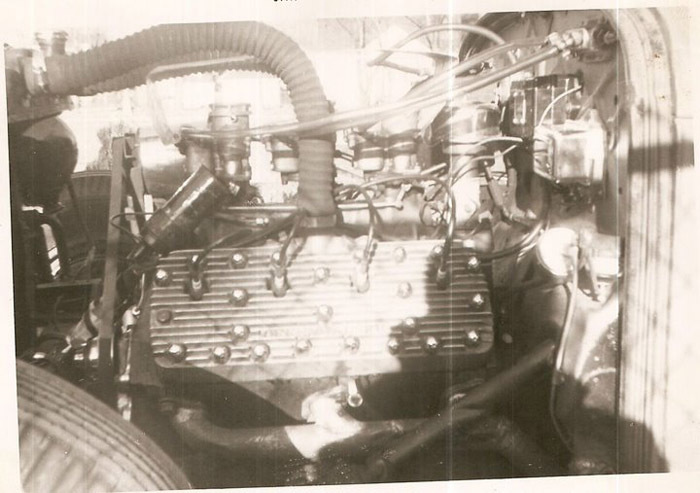 48 Mercury flat head engin with three carbs. 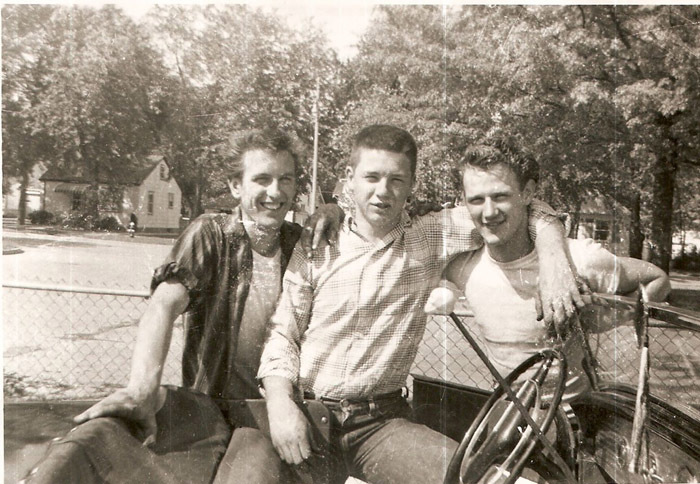 Left to right Terry, McFarlane, Al Marshall (? 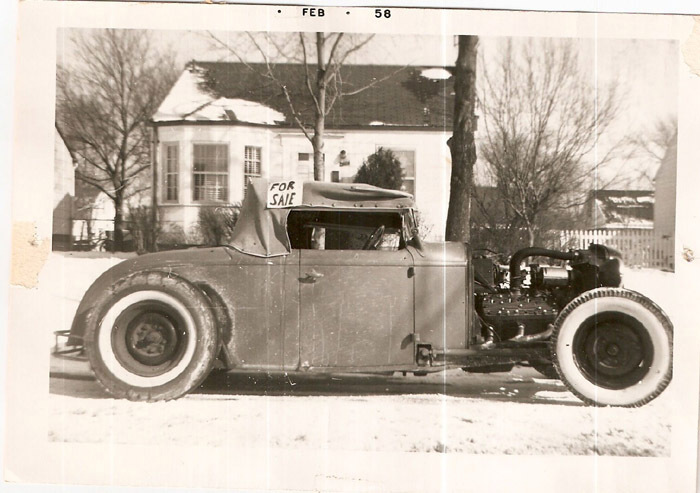 ), and Ellis McGraw, Note Skull on long gear shift. 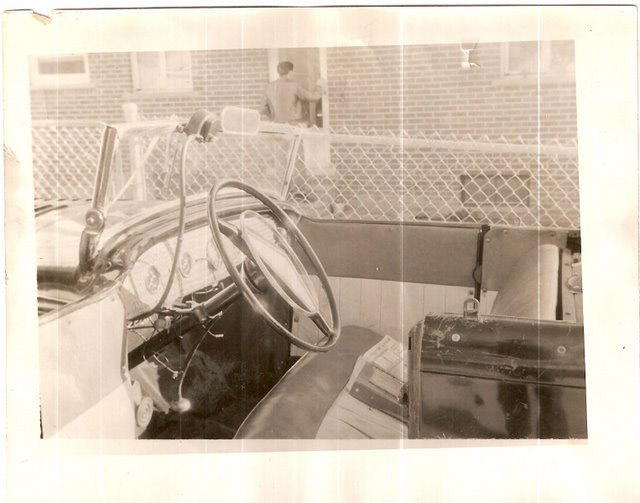 Terry McFarlane leaning on windshield. 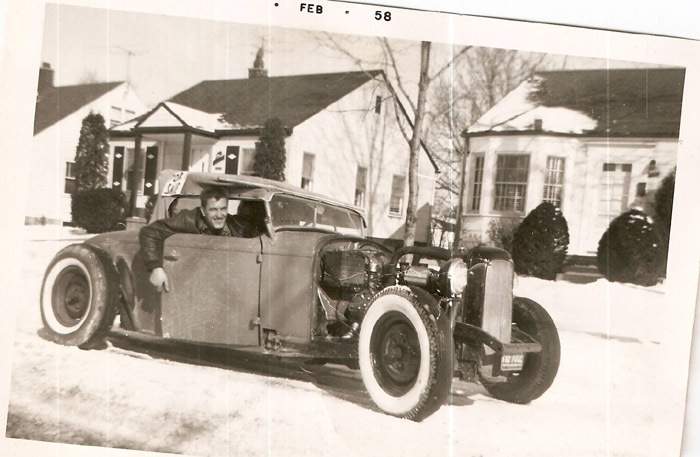 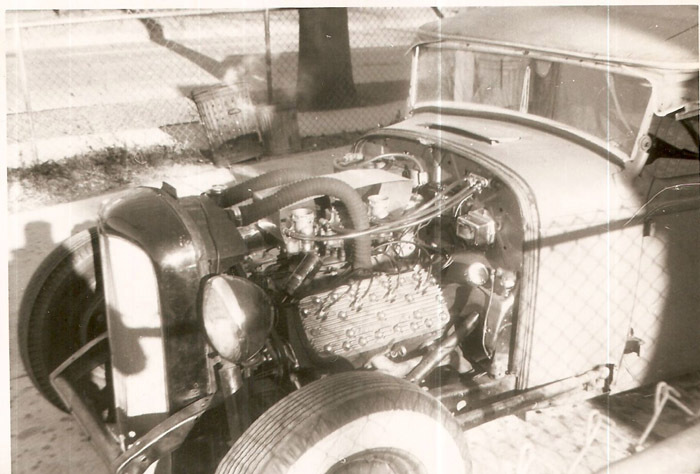 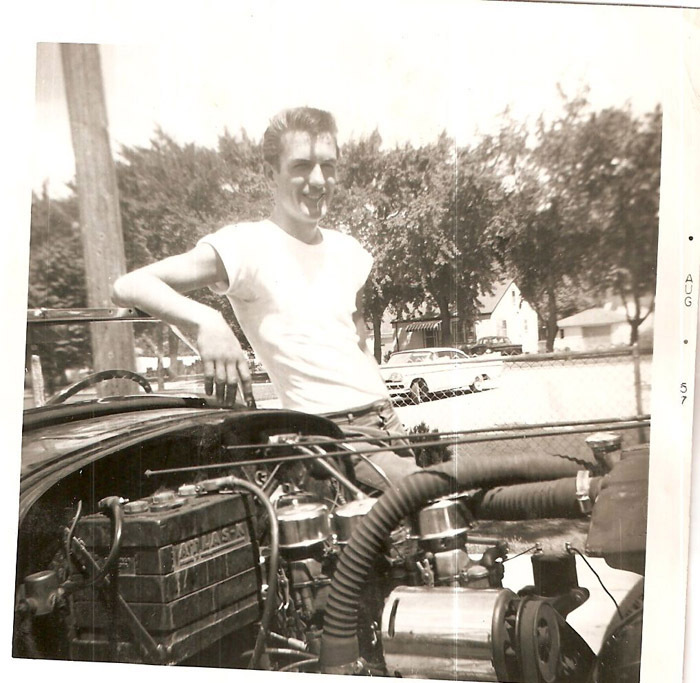 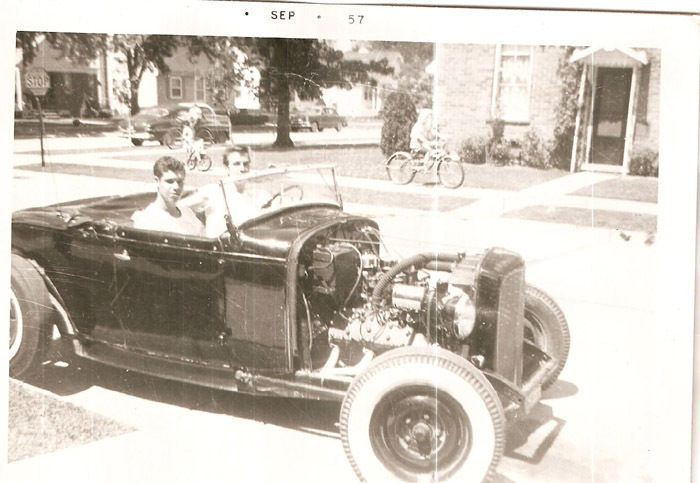 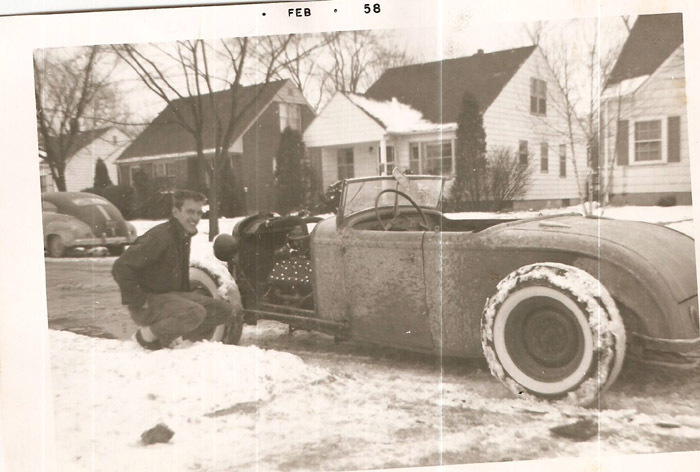 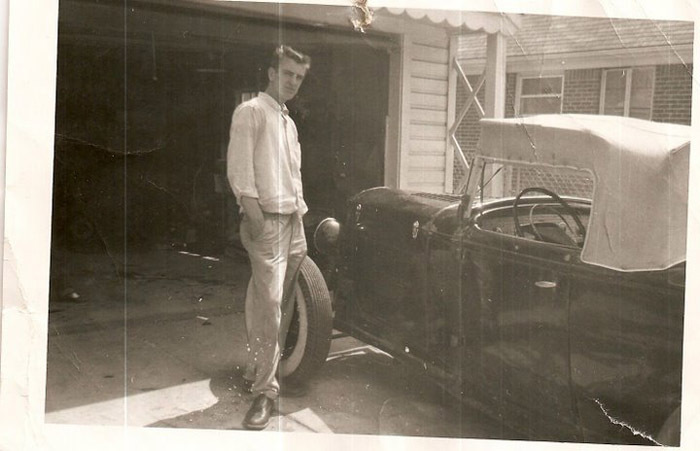 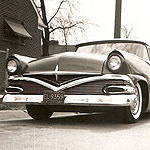 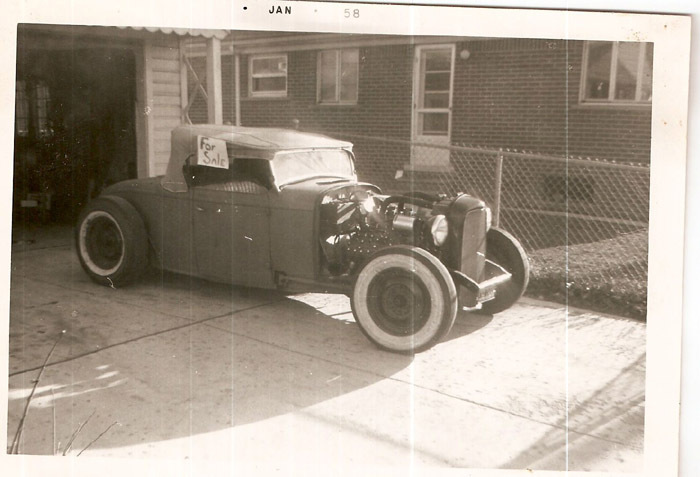 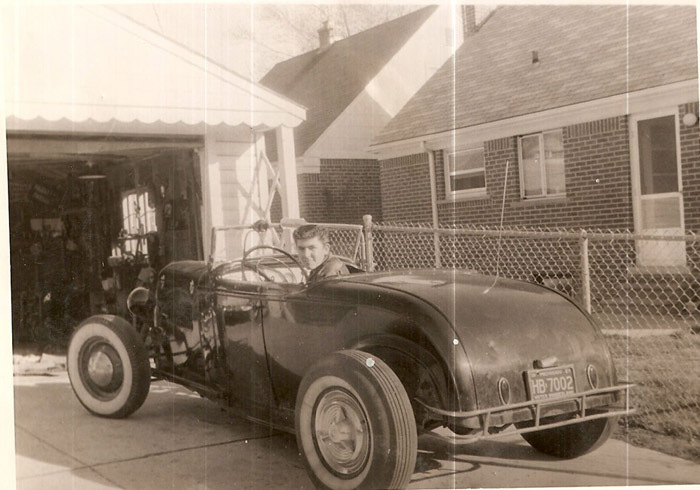 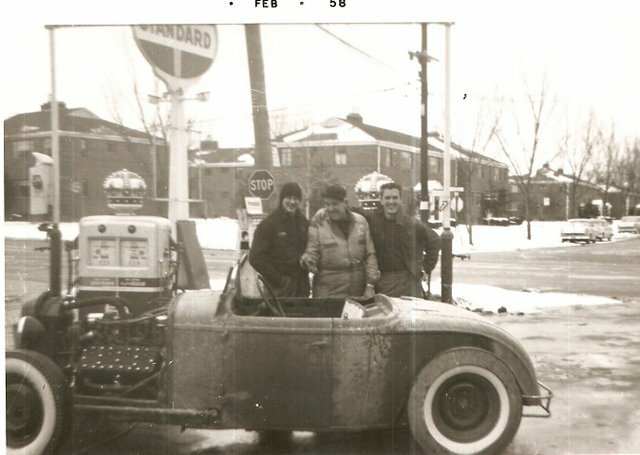 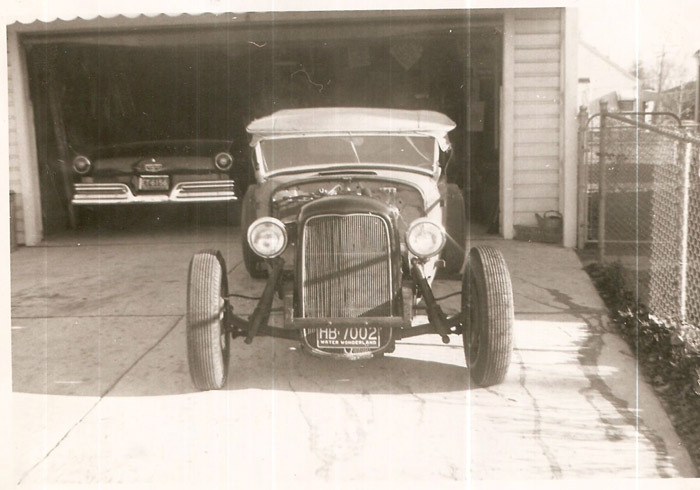 Chuck Itofe in Roadster prior to restoration. 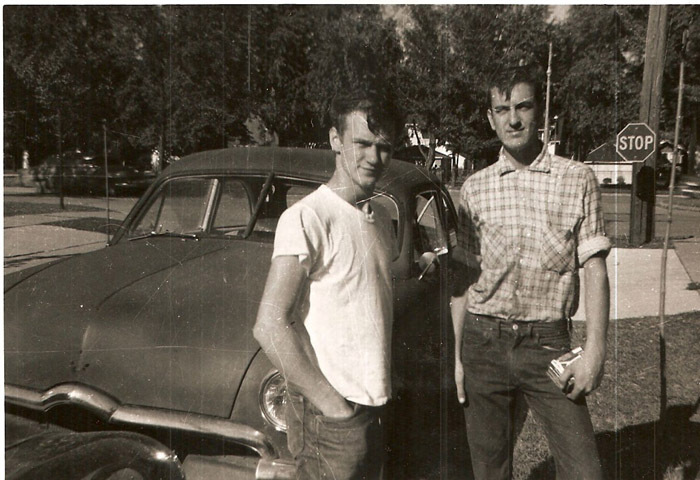 Terry McFarlane and Jim Halkyard (?). 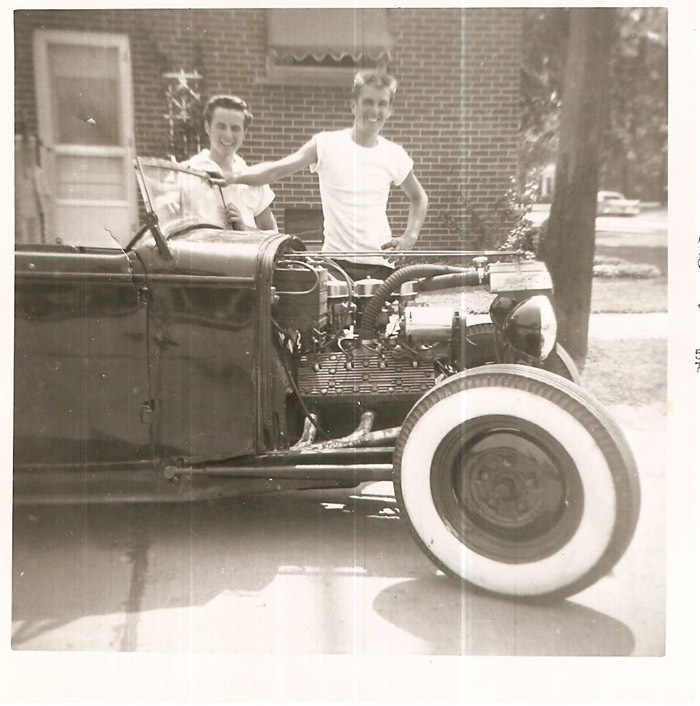 Completed Restoration - Car for sale to get Model T.
Ellis McGraw and Terry McFarlane upon return from junk yard run. 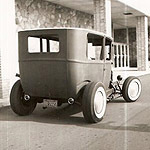 For Sale in McFarlane drive way. 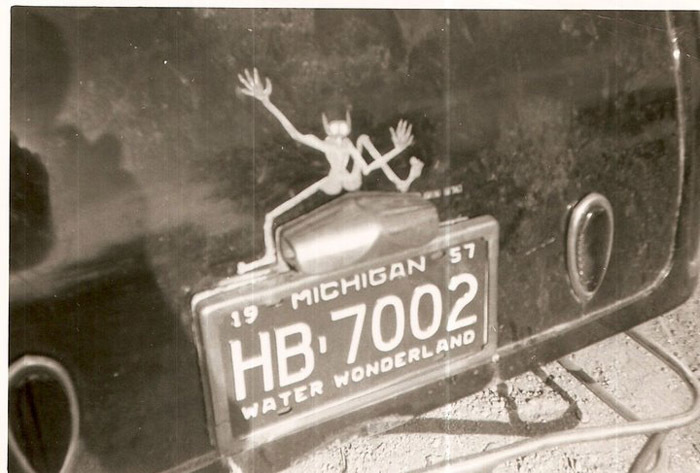 Eugene (?) 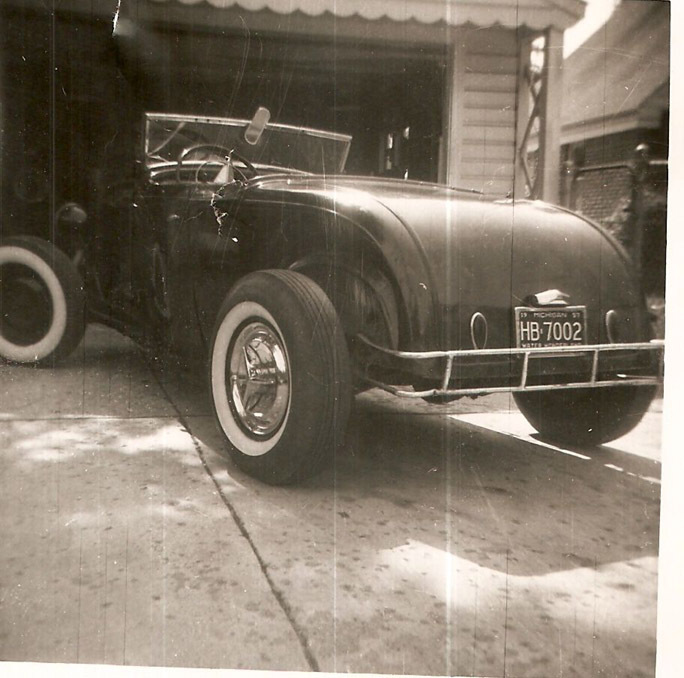 and Terry McFarlane. 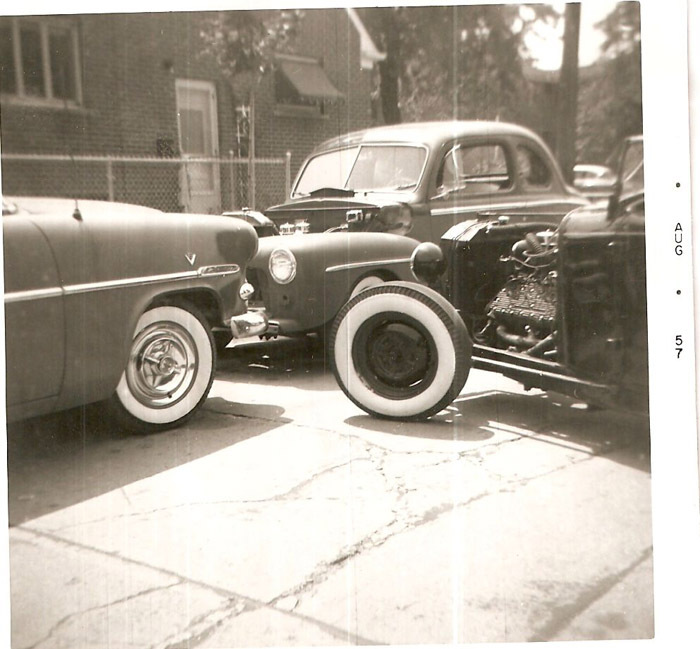 Typical scene on side street. 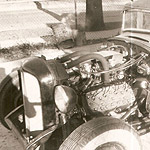 Rear of Roadster prior to channeling, note Olds spinners.